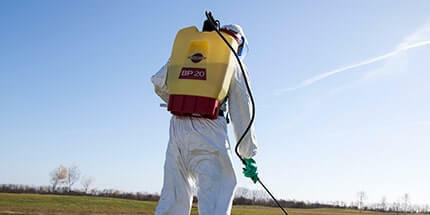 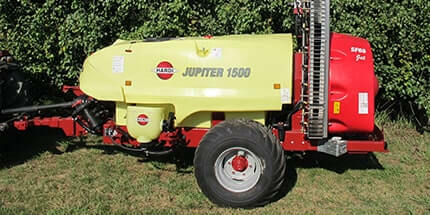 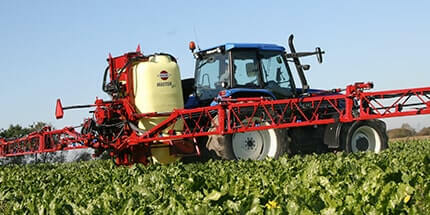 The functional design and even better overall performance sets new standards for lift mounted sprayers. 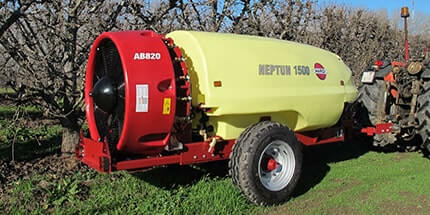 MEGA is utilizing the space between tank and cabin perfectly. 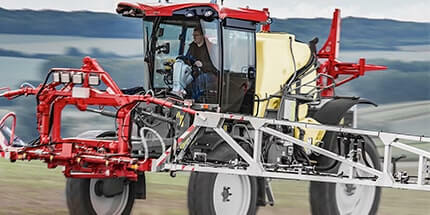 When driving, the AirRide suspension helps stabilizing the boom and provides more comfort for the driver. 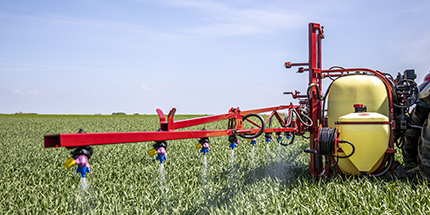 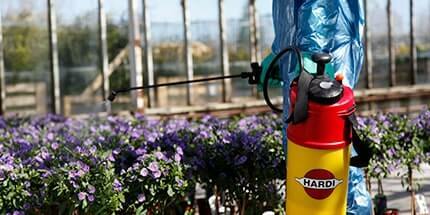 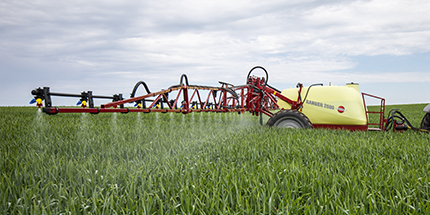 With the ability to spray faster and carry more liquid, the HARDI MEGA is approaching the trailed market. 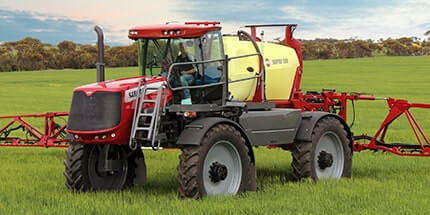 The large RinseTank is utilizing the empty space between tank and tractor. 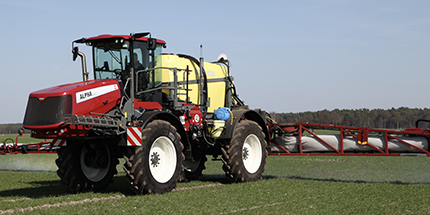 This brings the centre of gravity closer to the tractor in combination with the known short center section, the MEGA is closer to the tractor than other lift mounted sprayers. 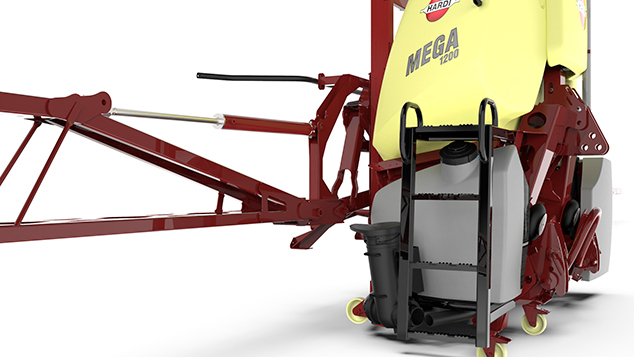 When the MEGA is parked on the ground, there is 8° backward angle. 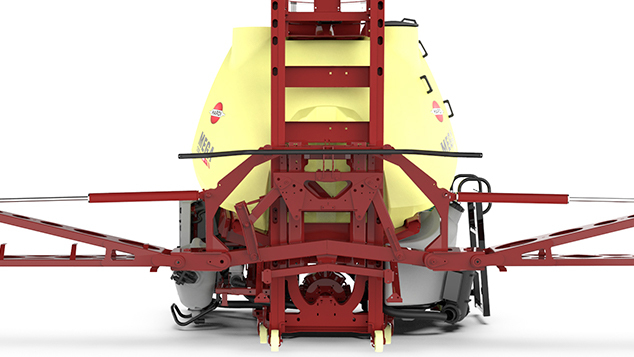 This gives an easier access when coupling and brings, when in working position, the sprayer in a vertical position, so the boom lift has the best working performance. 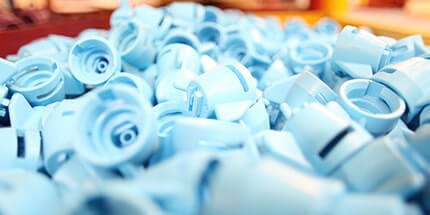 “Touch the future” with integrated electronics. 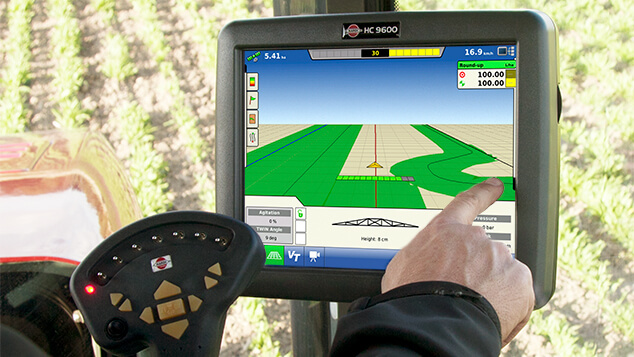 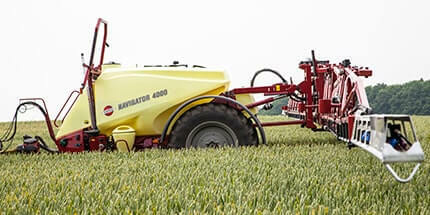 The HC 8600 and HC 9600 controllers provide growers with a powerful, full featured precision farming tool. 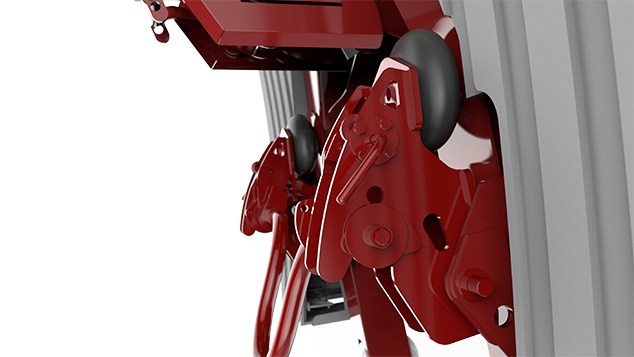 AutoSection- Control, guidance and data logging are standard features of the ISOBUS terminals. 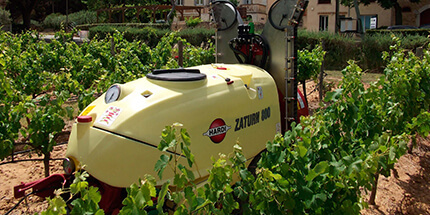 Y version: Operated by tractor hydraulic outlets – one single-acting and one double-acting outlet are required (12-18 m). 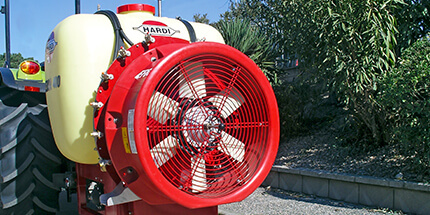 Z version: Operated by direct hydraulics (DH) – one double- acting outlet is required for 7 different operations. 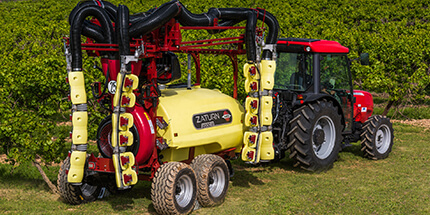 The Z version offers several facilities such as reduced folding, single-side folding and individual boom tilt. 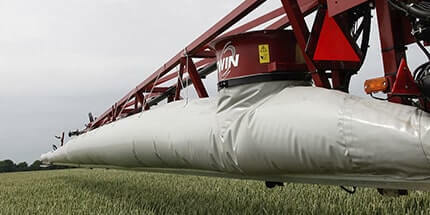 The VPZ booms from 20 to 28 m have integrated AntiYaw damper on the boom wings. 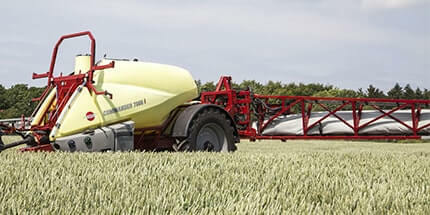 The lattice boom structure ensures a strong and rigid boom; the bases for exact and uniform spray distribution. 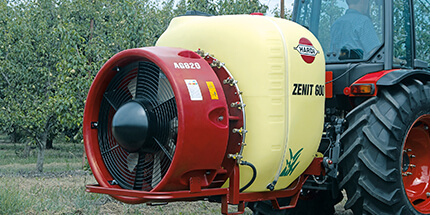 The nozzles, spray lines and hoses are all well protected within the boom design. 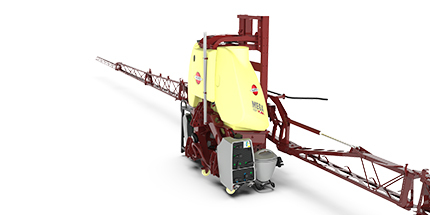 A long boom lift with a fast reacting cylinder and hydraulic damper allows a boom working height setting from 50 cm to 210 cm. 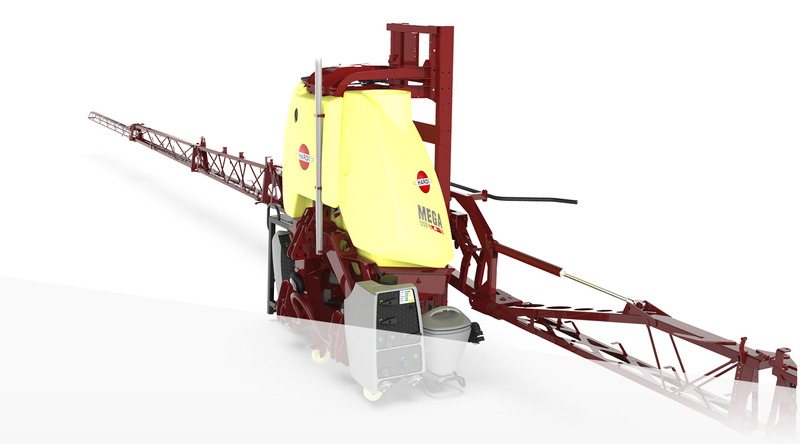 A hose guiding channel over the boom lift makes the MEGA sprayer with VPZ booms even more reliable.